Were you aware that the food companies add chemicals to their products that stimulate hunger and disrupt normal appetite control? It's a clever (but downright devious) strategy for selling more food and boosting the profits of food corporations. But the truth about these chemicals -- known as excitotoxins -- is never explained to consumers. The food companies don't want you to know that these chemicals cause obesity, infertility, migraines and cancer, among other health problems. 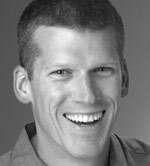 Now, in an exclusive Mike Adams interview, Dr. Russell Blaylock reveals the startling truth about these common taste-enhancing chemicals: monosodium glutamate, aspartame, yeast extract, hydrolyzed vegetable protein, autolyzed proteins and more! How MSG and aspartame are related to cancer, obesity, neurodegenerative diseases, and metabolic disorders. How food companies hide MSG on food labels by using a "secret code" of innocent-sounding ingredients. Why kids eating Splenda may end up with suppressed immune systems. How the manufacturers of artificial sweeteners enforce scientific censorship on the dangers of their products. The real reason why the American Diabetes Association won't speak out against aspartame. Why yeast extract is more dangerous than monosodium glutamate. The hidden link between soy and dementia. Why many foods labeled "all natural" aren't healthy -- or natural! How you can slow MSG and glutamate absorption using nutrients and herbs. How aspartame both causes and accelerates cancer. Why the pharmaceutical industry needs MSG to help create more patients. How common are these dangerous ingredients? Check the ingredients labels of the food in your pantry right now. Also, check for any ingredient that's hydrolyzed or autolyzed. If you spot any of these, you have excitotoxins in your food! ... and hundreds of other grocery products and restaurant foods. If you suffer from any of these symptoms or conditions, it is imperative that you download and read this interview today. YES! 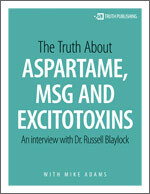 Please email me the download link to The Truth About Aspartame, MSG and Excitotoxins. I understand this report is FREE and that I will also be subscribed to the NaturalNews email newsletter.